A torn disc from a work-related injury should qualify for workers' compensation benefits if you can prove it happened on the job. 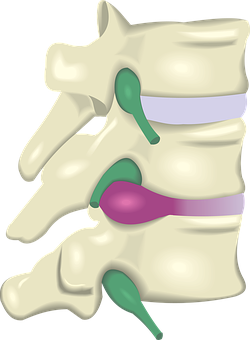 A torn, slipped, ruptured, or herniated disc refers to damage to one of the rubbery cushions in your spine that lie between the vertebrae. Discs have a hard exterior and a soft interior. When the outside is compromised, the soft, jelly-like center section can seep out and irritate surrounding nerves. This may result in pain, tingling, weakness, or numbness in the back or extremities. This type of back or neck injury may require a general examination by an authorized physician, a referral to a back specialist, medication, or rehabilitative therapy. Back or neck injuries like a torn disc can be chronic, requiring treatment for the rest of your life. The costs related to the medical therapies involving a torn disc can be very high. This is why it is crucial for you to complete the proper paperwork required for a valid workers’ compensation claim. Mileage and gas to approved workers’ compensation physicians. If you suspect you may have a torn disc injury, the first step you need to take is to notify your employer. There are strict time limits regarding when the accident happened and when it must be reported to an employer. If you wait too long to complete an accident report, your workers’ comp claim may be denied. The next step is to see a doctor right away. This is important for your health as well as your workers’ comp claim. Documentation of the injury and its prognosis will be pertinent to your case. Workers need to understand a seemingly minor injury can develop into a much more serious condition. Torn discs can become worse in time and cause serious back or neck issues and lifelong pain. This is why you should treat any injury at work as if it might have a serious outcome. You can help your diagnosis and workers’ comp claim by writing down how the injury happened and your symptoms. Keep a notebook with any physical issues you notice and date each entry. This step is a great way to chronicle the injury and help you remember the details, which can be crucial in a workers’ comp claim. Whether it’s a torn disc or another employment-related injury, you have a right to compensation. The attorneys at Walker, Billingsley & Bair have been advising Iowans with work injuries about the Iowa workers’ compensation system for years to help them receive the compensation they deserve. To receive a free book entitled "Iowa Workers' Compensation - An Insider's Guide to Work Injuries" which describes Iowa work injuries, including the "7 Mistakes To Avoid If You Are Hurt At Work." Call Now 1-800-707-2552 (ext. 511) (24-hour recorded message) or click the link above. Why offer a Book at No Cost? Iowa workers' compensation attorney Corey J. L. Walker practices primarily in workers' compensation law and has represented hundreds of Iowans hurt on the job and has seen too many clients from Des Moines, Newton, Cedar Rapids and throughout the state of Iowa make mistakes before they had the “right” information about work injuries, resulting in them losing thousands of dollars. Iowans hurt at work are beginning to realize that the insurance company is not there to help them and that they should have someone on their side. For immediate assistance, contact us online or call 641-792-3595 and ask for Corey or Erik.